Boundary conditions can be defined on the page “Supports”. They can also be edited by a double click in the graphics or moved by using Shift and the left mouse button. 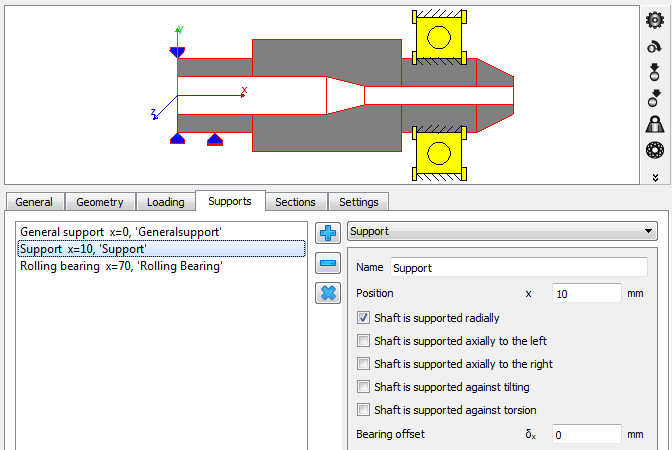 Support elements including rolling bearings only define boundary conditions, they have no mass or weight.